The notorious Angolan-Swiss fraudster, Jean-Claude Bastos de Morais, was remanded in custody in Angola last September to await trial on charges of embezzling billions of dollars from the country’s Sovereign Wealth Fund. 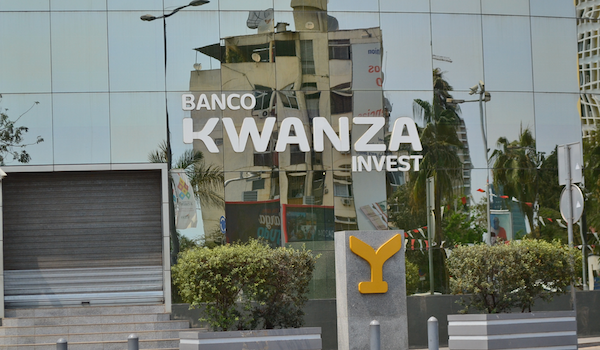 So why are the Angolan authorities allowing him to continue as the majority owner and head of the Banco Kwanza Investimentos, S.A.? And what on earth persuaded the Governor of Angola’s central bank to bail out Bastos de Morais’s failing ‘investment’ bank? “No-one was willing to help me regularize this situation, not even the bank”, he told Maka Angola. “I repeatedly asked for the situation to be legalized, without success. I even offered to sell my shareholding – but the majority shareholder ([Jean-Claude] blocked it and said I could not sell to any third party. This has left me trapped in a stupid situation that I’ve wanted to escape for some considerable time”. Adriano de Carvalho Jr. told Maka Angola he obtained the 4.8% of BKI stock as “part of his remunerative package from Bastos de Morais”. He said the stock transfer was “openly registered, and communicated and authorized by the BNA, in compliance with the regulations”. However this was not exactly a straighforward purchase. De Carvalho Jr. admitted that the stock from JCBM was an “advance against the ‘executive bonus’ he was promised for his work over the next three financial reporting periods”. The BKI also had a duty to report the audit to the central bank. Was full and accurate information submitted? In the absence of verifiable proof of the existence of the BKI’s reserves, it would have been unconscionable for José de Lima Massano to authorise a recapitalisation. Questioned by Maka Angola, Adriano de Carvalho Júnior said that as Chairman, he received and read the Deloitte report and that it confirmed the existence of capital reserves and results in transit which he said “taken together is sufficient and is in conformity with the legal requirements”. There is a second worrying element to consider: Marcel Kruse says that the BKI’s clients are almost exclusively made up of Jean-Claude Bastos de Morais’s own companies and that ‘JCBM’ had ordered the bank not to engage other customers. 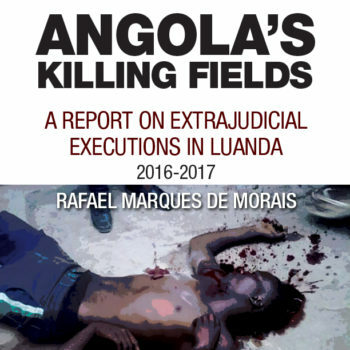 The implication is that the BKI is yet another of those institutions set up by what we have come to call the ‘Dos Santos Cartel’ – family members and associates of the former Angolan President, José Eduardo dos Santos – to divert public funds to their own ends. So, when one of the original BKI administrators reveals that the BKI’s clients are mostly (or exclusively) companies set up by the BKI’s majority shareholder, Jean-Claude Bastos de Morais, this is not just a flagrant conflict of interest. It arouses suspicion that the investment bank is merely a front for diverting Angolan public funds to JCBM and/or his associates. In short, the BKI stands accused of facilitating the embezzlement of public monies and money laundering. Ten days later, on February 3rd that year, Kijinga S.A., transferred the entire US $100 million to two other ‘phantom’ companies: US $88 million to Ulussu S.A. and the remaining US $12 million to Kabasa S.A.
Add to those US $100 million, a further US $180 million that the FSDEA paid to another of JCBM’s companies, Caioporto S.A., (as gazetted on January 30, 2017). This was yet another phantom company set up by Jean-Claude, ostensibly the company awarded the contract to build a gigantic state project a free port. JCBM registered Caioporto S.A. on October 16, 2011 listing himself as the owner of 99.9% of the stock, based at the BKI address. It defies belief that the Sovereign Fund was handing over US $180 million to obtain 50% of the stock of Caioporto, a shell company with no employees and with zero experience of building or operating a port, but which nonetheless was awarded the concession for the future Porto de Caio in Cabinda by the Sovereign Fund chief’s father, the former President, José Eduardo dos Santos. Under the Dos Santos administration, state contracts and money flowed freely into the BKI. Take Presidential Decree No 25 of 2017, which awarded another of JCBM’s BKI-registered shell companies, Vavita Power, S.A., a contract worth more than US $200 million to “build, operate and transmit power from a 100 Megawatt Thermo-Electric Dual-Power Station in Cabinda”. Surely at some point the auditors should have figured out what was going on? The BKI’s own annual reports showed, e.g. that in 2015 and 2016 it made no loans, simply recording “advances to depositors”. What else did it do? Nothing, apparently. The BKI apparently was surviving only thanks to the nominal value of call deposit accounts, real estate title and its foreign exchange operations. As for the BKI’s liquid capital, 25% of the monies deposited with it come from the Angolan Risk Capital Fund (Fundo Activo de Capital de Risco Angolano, FACRA) ­­– the state body set up by Dos Santos which of all the banks available, chose BKI as the repository for its funds, which also came from the Angolan Treasury. And who did Dos Santos appoint to manage FACRA? Jean-Claude Bastos de Morais. The record shows that the BKI invested the FACRA funds in its own subordinated bank bonds, which on maturity were transferred into a call deposit account, but with zero interest! When asked why the BKI has no other clients than Jean-Claude Bastos de Morais and his companies, De Carvalho Jr. sidestepped and declined to comment, citing the code of secrecy amongst banks not to divulge the identity of their clients. Instead he emphasised that “all banking activity in Angola is supervised and regulated by the Supervisory Organs to ensure they comply with the current norms and legislation”. Frankly, it’s a mystery as to why the BNA didn’t close down a third bank, the BKI, over its repeated frauds. It must be as plain to the Governor as it is to the rest of the world that the BKI’s sole activity was as a money-laundering vehicle for José Filomeno dos Santosand Jean-Claude Bastos de Morais who brazenly diverted public funds to their own companies with the knowledge and complicity of the former President.